Put all ingredients into a Kenwood and beat for 4 minutes. Divide mixture into two greased baking pans. 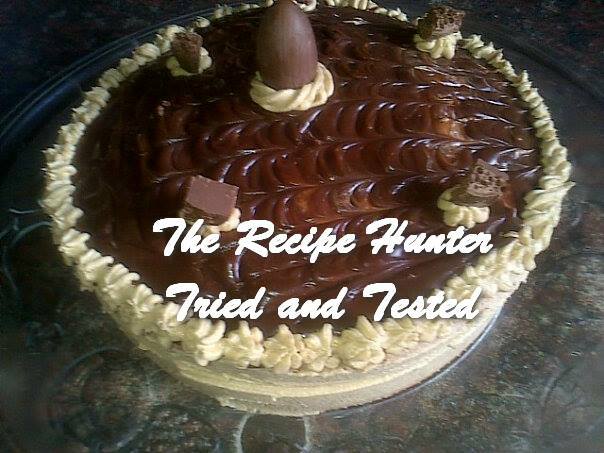 Cool cake completely and ice with coffee cream icing and drip ganache over or decorate as desired. Dilute 1 tsp Nescafe coffee in 3tsps of warm water. Add coffee mixture and beat well. Melt chocolate and stir in the cream immediately.